Give your event or home bar an extra special touch with custom cigar matches. Cigar matches are an elegant and traditional personalized wedding favor. You can incorporate these matchboxes into your event space—they are perfect on the bar, cigar bar or groom's area—and then send them home with guests. 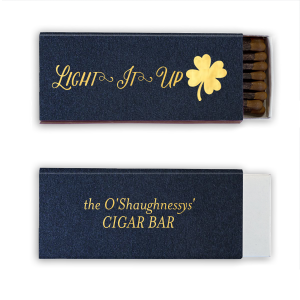 For Your Party cigar matches are top quality and made with sulfur-free match heads for the best smoking experience! 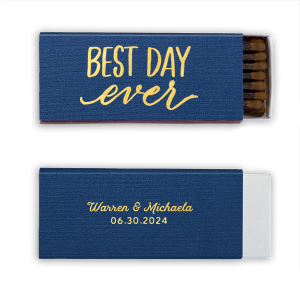 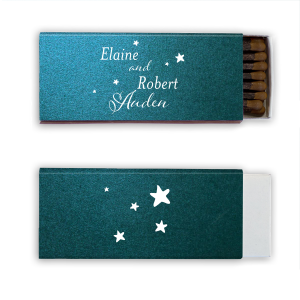 Use our simple customization tools to feature your style and coordinate the matchboxes with your event theme. 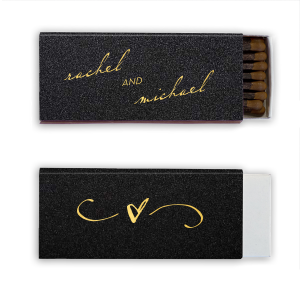 Create classic personalized monogram matches or trendy phrase matches like "Light it Up" or "Light Up the Night." 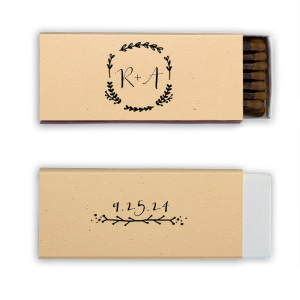 Add the bride and groom's initials and wedding date for a custom wedding favor you'll want to save. 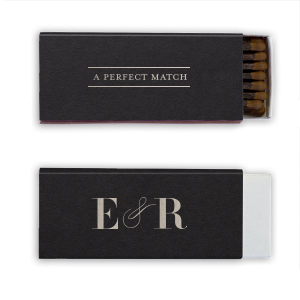 Not looking for wedding matches? 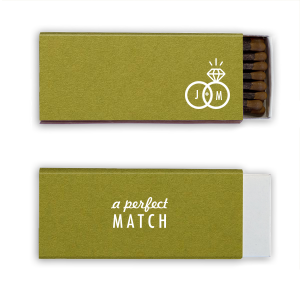 We have a huge selection of custom match designs for you to choose from. 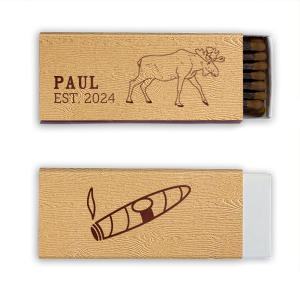 Custom Cigar matches are also great for bachelor parties, retirement parties and birthday parties. 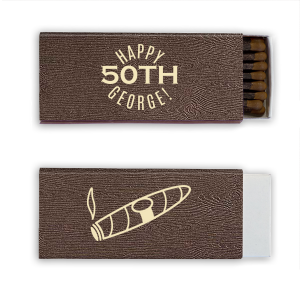 From cigar graphics to birthday cakes, you can find the right custom cigar matches for you. Or, you can upload your own art for one-of-a-kind personalized cigar matches!